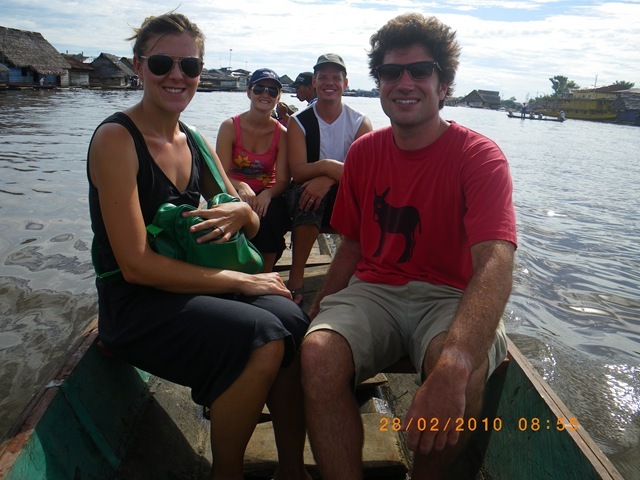 From Iquitos, Ryan and I took a five day, four night canoe trip deep into the Amazonian Jungle with a native guide and a cook/boat driver. 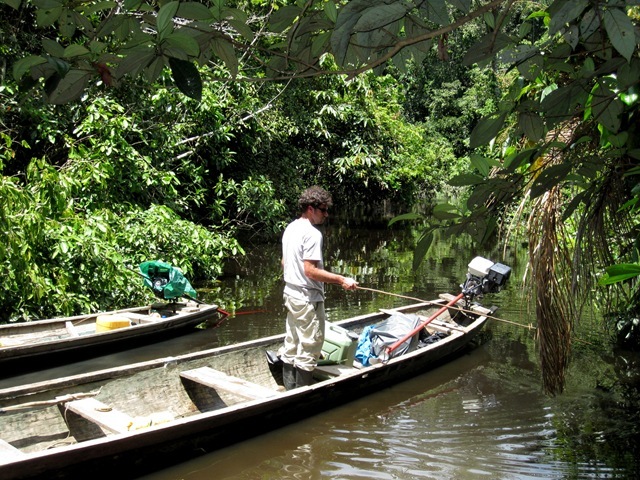 We spent our days on a tributary of the Amazon called the Ucayali – canoeing, fishing, and looking for (i.e. 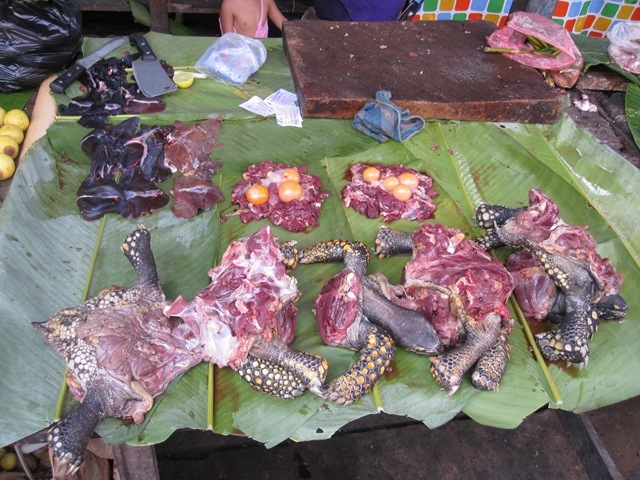 eating) weird animals and plants. 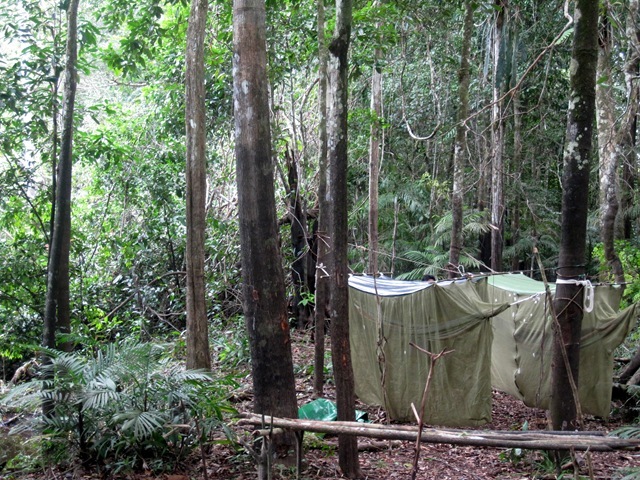 Our nights were spent set up at a campsite made by our guide with a machete and some seriously strong arm muscles. 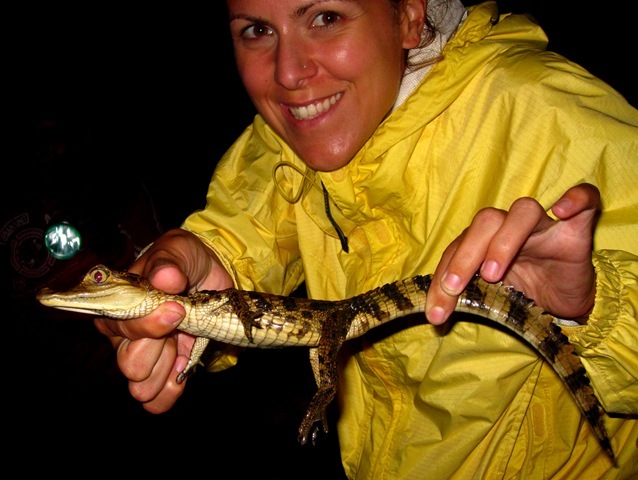 Among the giant spiders, beautiful butterflies, and millions of mosquitoes, we saw pink dolphins, sloths, monkeys, toucans, tarantulas, water snakes, alligators, and an electric eel. And unfortunately, I have documentation of very few of these. 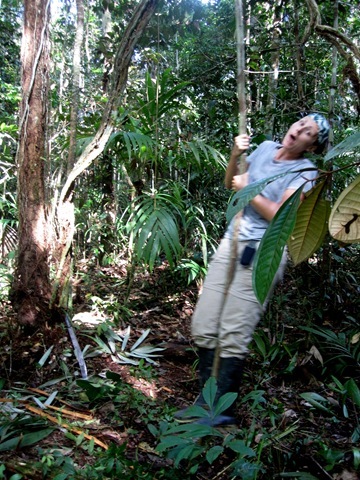 Jungle creatures aren’t too fond of being photographed. Worst ever: having over 800 mosquito bites. each. 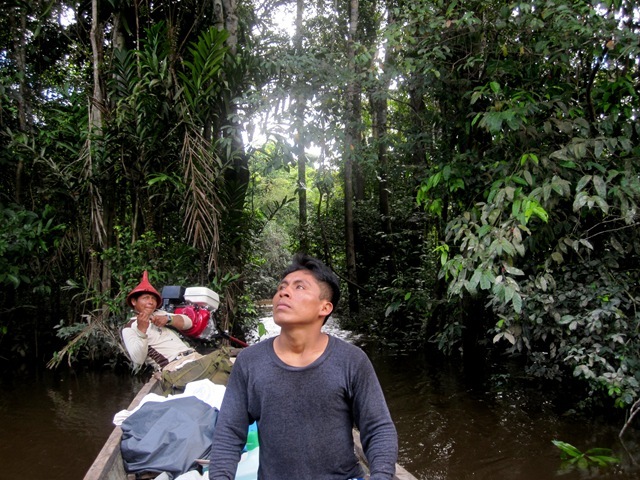 Our guides navigating the jungle by canoe. Don’t be fooled by the pretty pictures… the jungle is a scary place with evil monsters lurking around every corner, and it will make you crazy if you stay in it long enough. Five days was about two days too long for me… although I will blame the mosquito bites for that, and not my inner wuss starting to kick in. PS. A note on the infamous Amazon River dolphin (aka ‘bufeo colorado’): yes, they really do look like the picture below. It’s not really known why they are pink – theories say it could be the iron rich content of the water, the high number of blood vessels close to the surface of their skin, or a result of the crustaceans they eat. 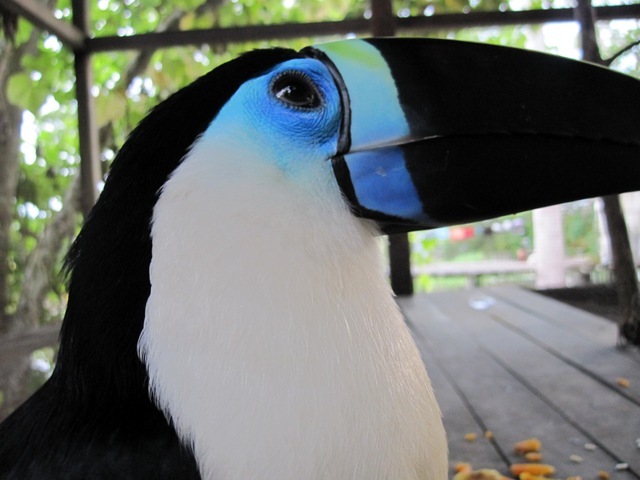 Also, the vertebrae in their neck aren’t fused, meaning they can turn their head a full 180 degrees. Which means they might be aliens. 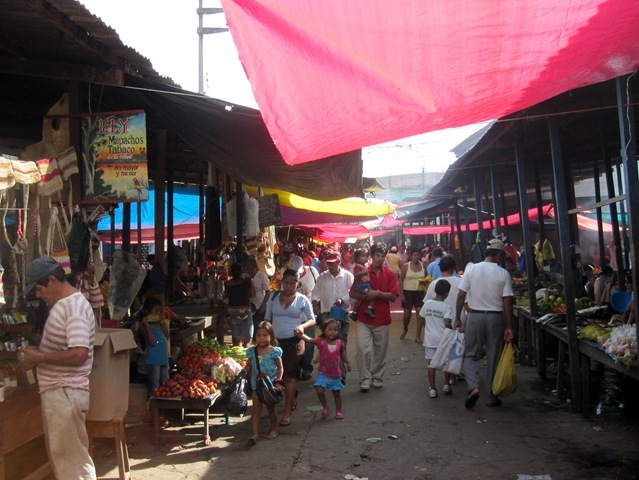 The highlight of Iquitos is the Belen market, where all of the local indigenous people from the surrounding areas bring in their goods from the jungle to sell. 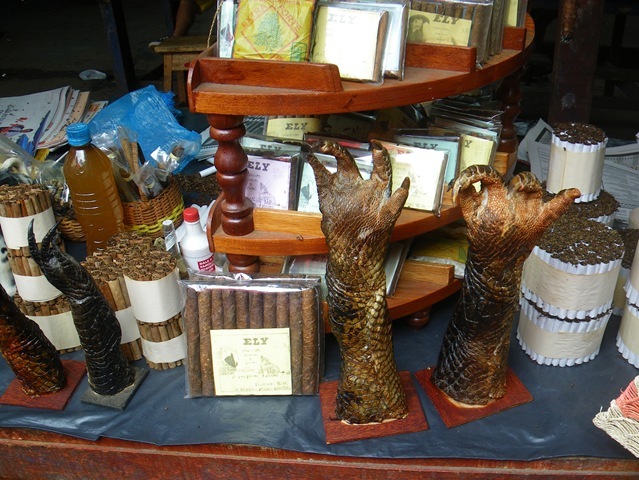 There you can find pretty much anything (seriously: anything) you want to buy. Care for a turtle part? Honey – fresh from the hive. 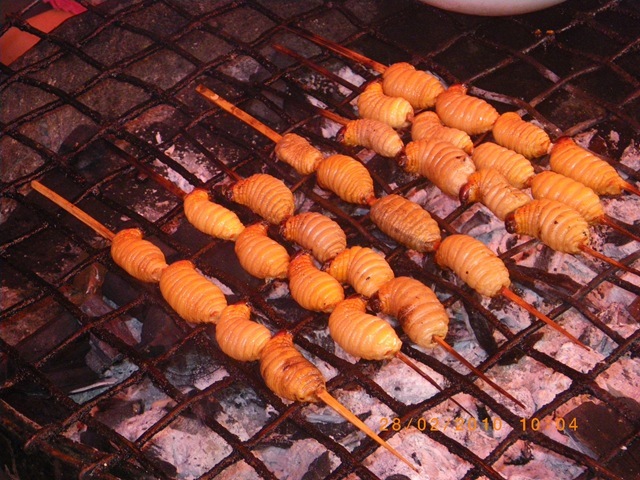 Grub: Timon and Pumba are jealous. 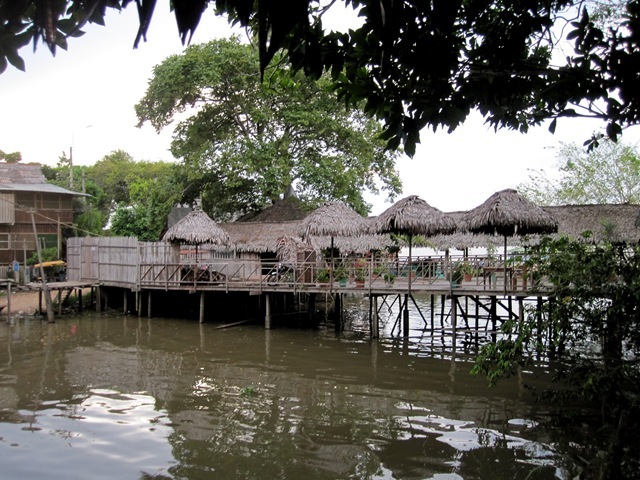 Iquitos – the largest city in the world that is not accessible by road – was the destination of our boat trip up the Amazon River. 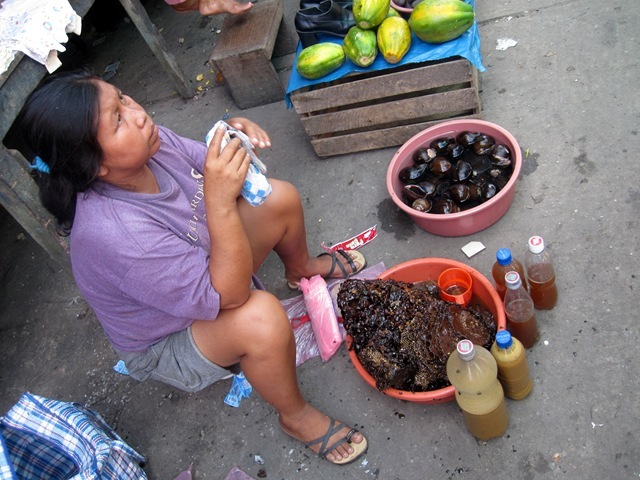 The history of Iquitos is really interesting… the city was built on the huge influx of wealth from a rubber boom in the 1800s. Some decades later, a few seedlings from the rubber tree were smuggled to Malaysia, and the city suffered a massive crash of their economy. The result is a lot of really old, unkempt buildings that look like they used to be gorgeous. 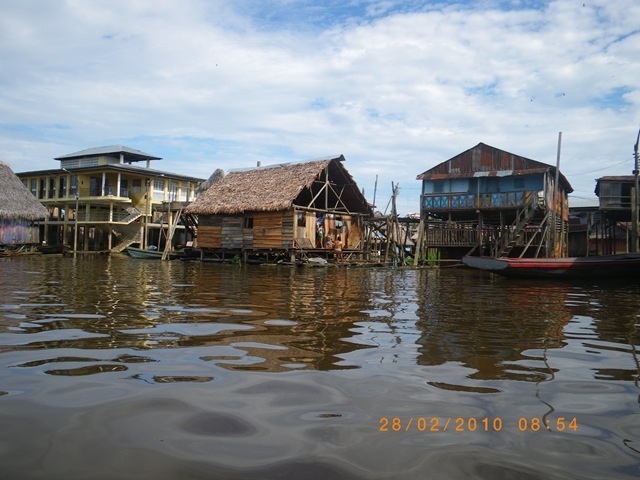 The most interesting area of Iquitos is a district called Belen – which houses 20,000 people in floating homes connected by waterways (think Venice… kind of.) The locals travel around by canoe. 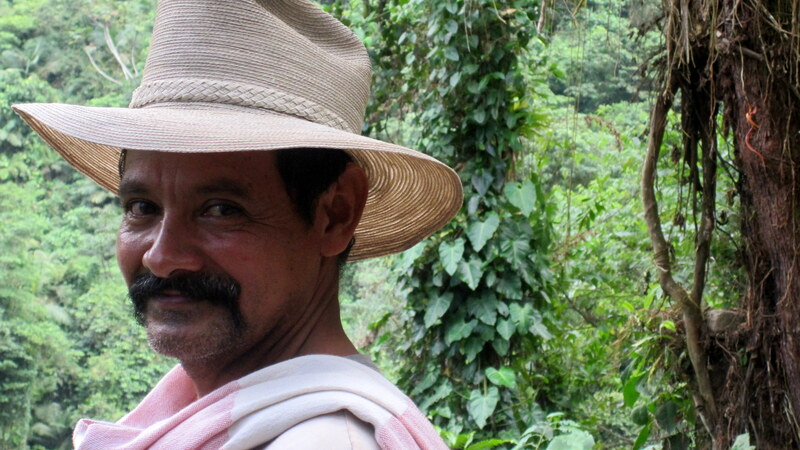 *Big thanks to Erik and Elin for the photos in this blog post – my camera died the day we took the trip through the Belen floating villages and markets. 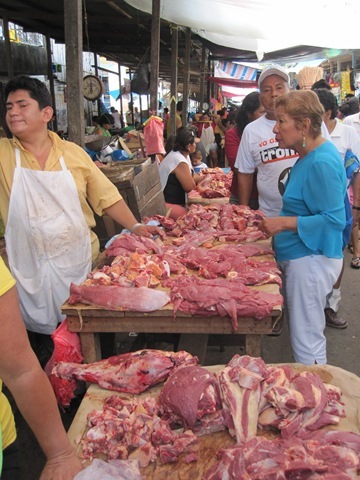 More on the Belen Market soon – it deserves its own dedicated post! 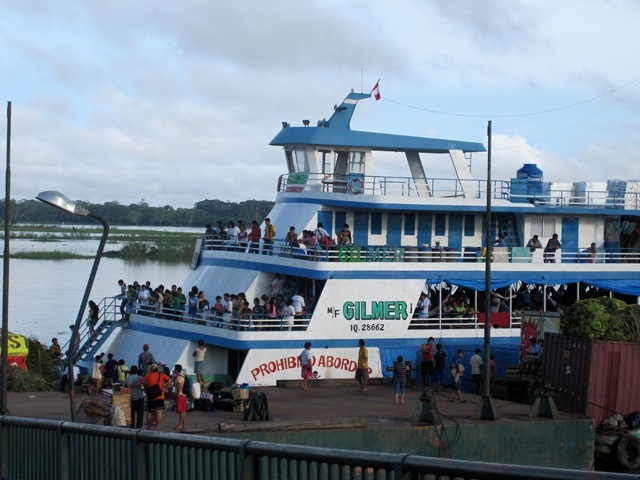 The Gilmer, a cargo ship, carries passengers and cargo up the Amazon River to villages and towns upstream that cannot be accessed by road. 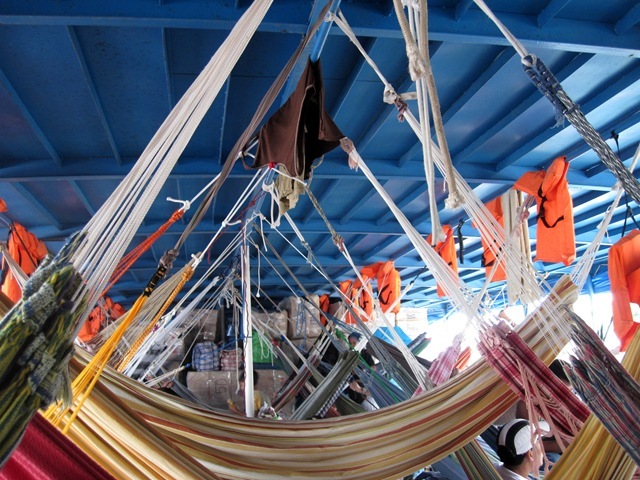 We spent five (crowded) nights on hammocks on the boat deck with 250 other travelers. 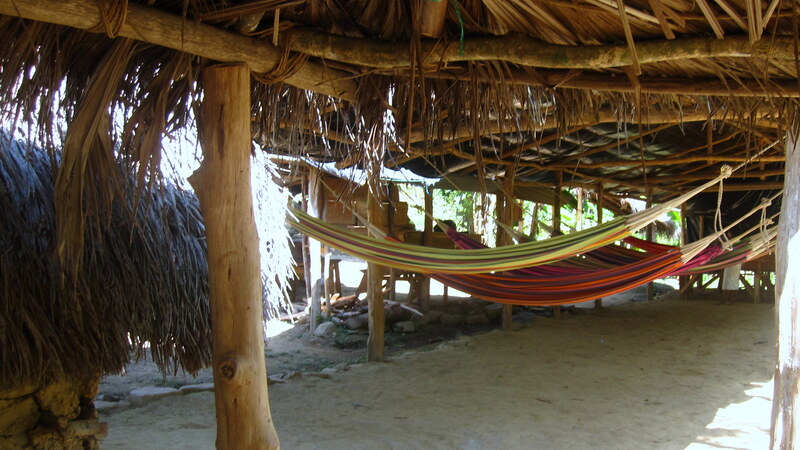 Mass hammock = not so much space. 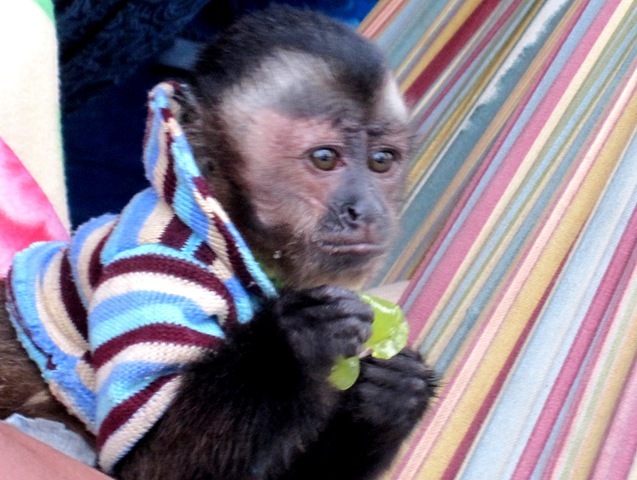 One of the monkeys was the cutest. Even when it tried to steal Ryan’s stuff out of his backpack. 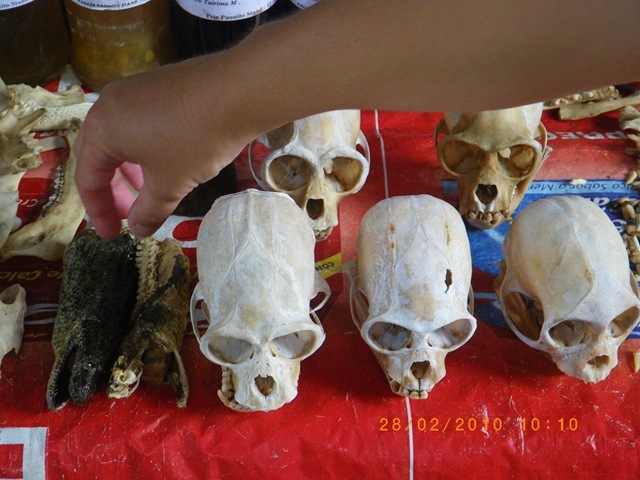 This also spurred the previously mentioned desire to buy a pet monkey. Other highlights: Ryan and I were followed around by a kid the entire trip, who enjoyed pinching us when we weren’t looking. And I was the victim of a water balloon ambush by a group of Peruvian children for two days straight. They liked to drench me with water balloons and yell ‘gringo!’. After our canyon hike, we headed back to Lima. 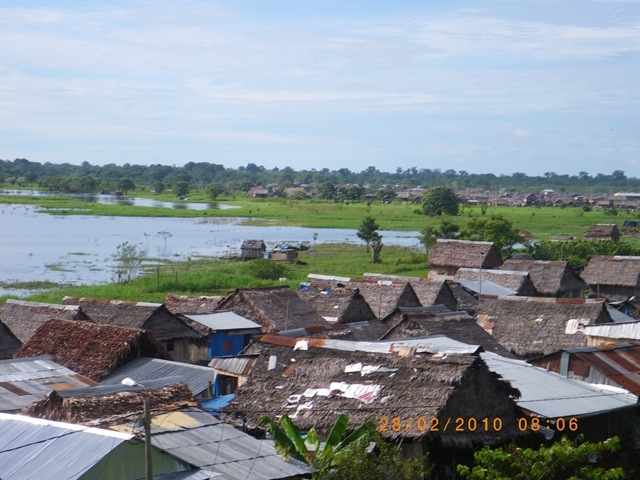 We said adios to Parsonian, we headed over the Andes on a looong bus ride (30 hours) to Pucallpa in the north of Peru. 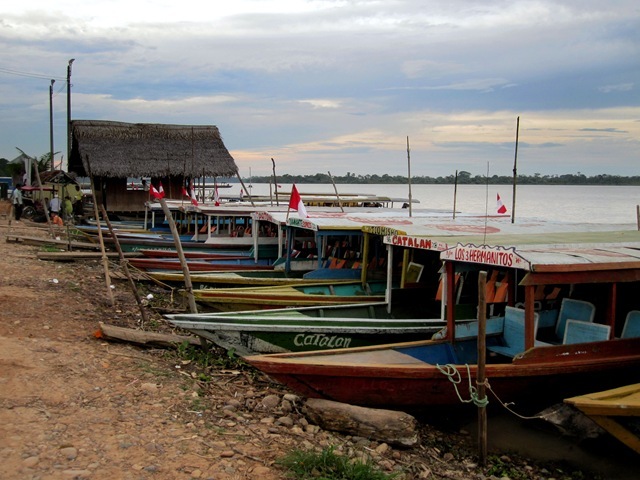 Pucallpa doesn’t have much to offer but a gateway for people (and cargo) to travel up the Amazon. 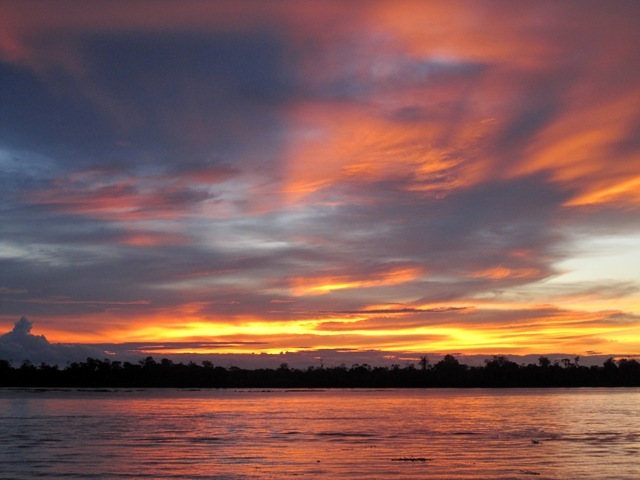 From Pucallpa, you can get all the way to the Atlantic Ocean via the Amazon River through Peru and Brazil. 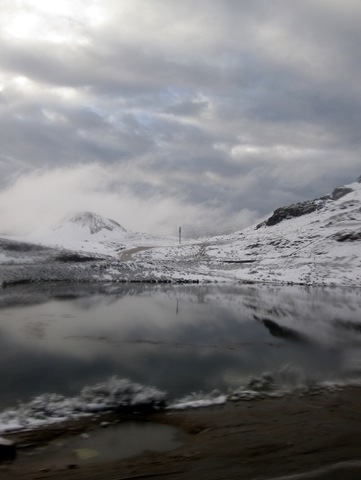 The Andes through the bus window. 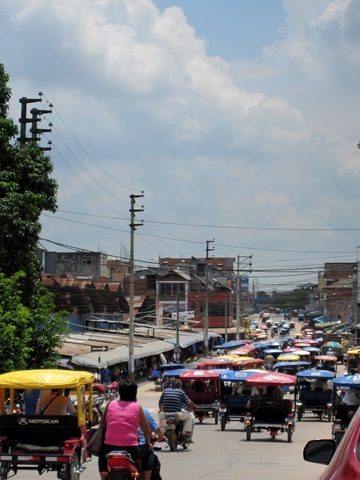 Since Pucallpa is so far off the beaten path, cars are a novelty and most people travel by mototaxi. And there are a million of them. In fact, thats all there is. And one grocery store that closes at sunset. 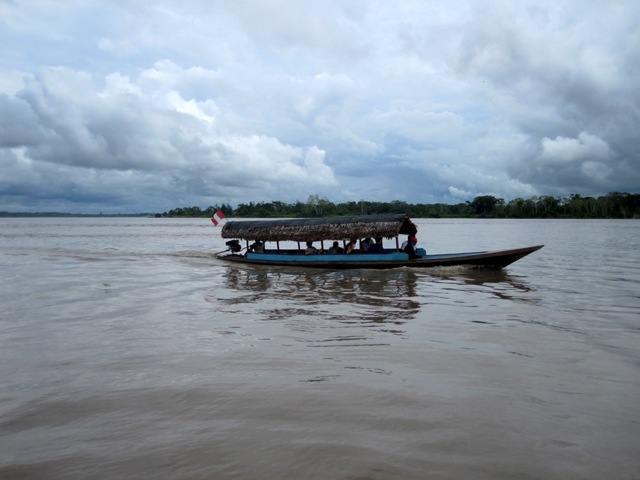 The soonest boat we could catch left four days after we arrived in Pucallpa… and we decided to head to a town about ten kilometers away on an oxbow lake, with lots of floating hotels, shops and villages. No one knew the name of the town, not even a waiter at one of the restaurants there. It sounds something like Yamaguchi. … is really hot. And the bugs are really big. And the internet is really, really slow. But we´re having a really great time. 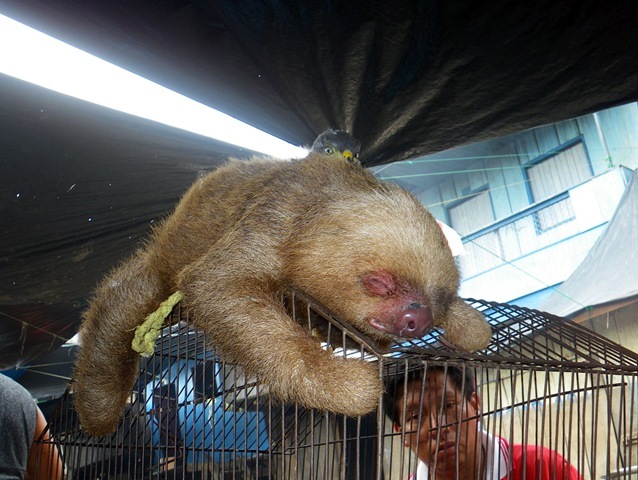 I almost bought a monkey this morning – it was the cutest thing I have ever seen in my life, and it was only seven dollars. 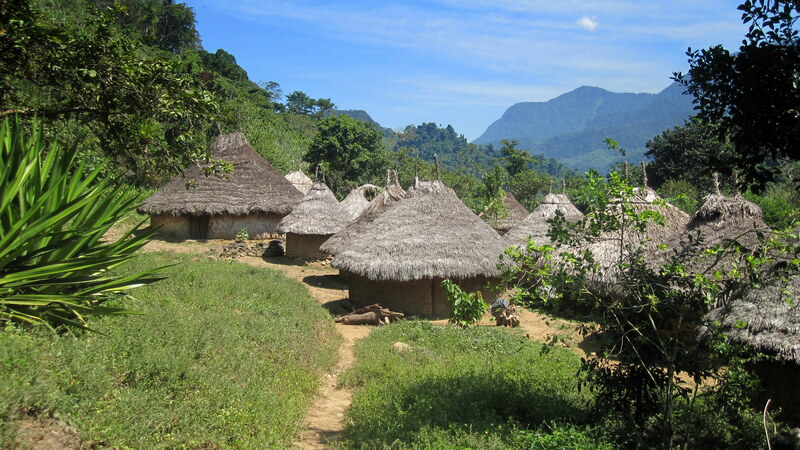 We spent five days hiking through the jungles of Northern Colombia to Ciudad Perdida – an archaeological ruins discovered in the 70’s by an indigenous people. 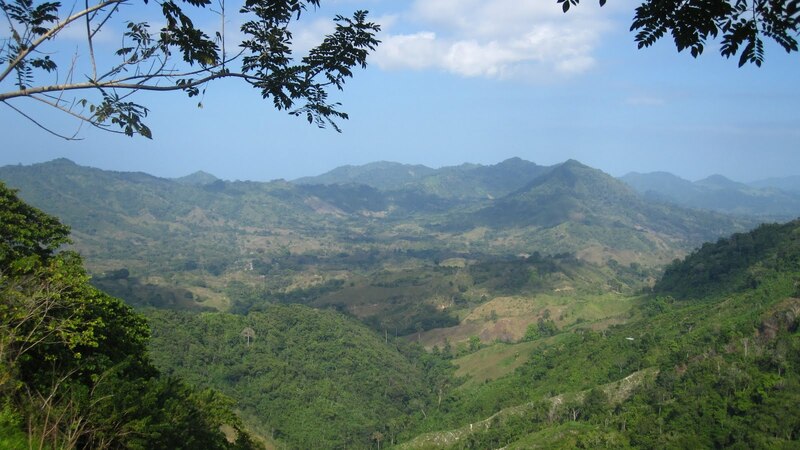 The hike was challenging, and a little trying in terms of gigantic, unidentifiable insects – but really, really incredible. 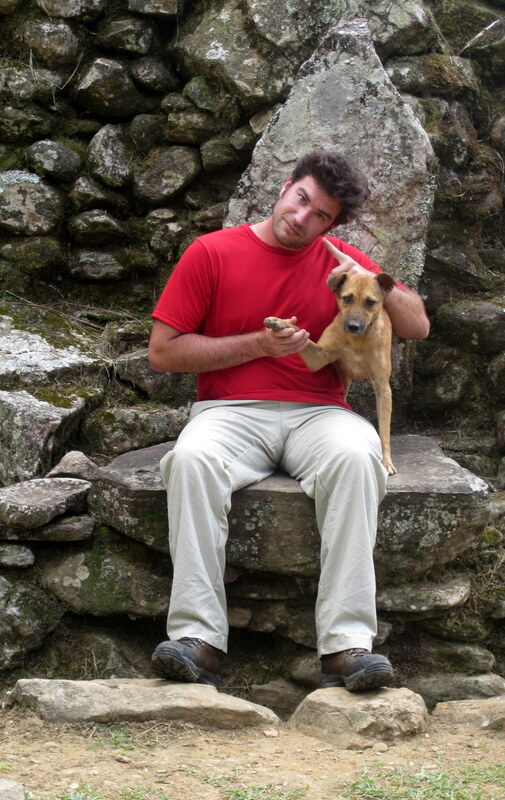 We started with a group of ten, and seven of us made it the 1500 steps up to the ruins three days later. 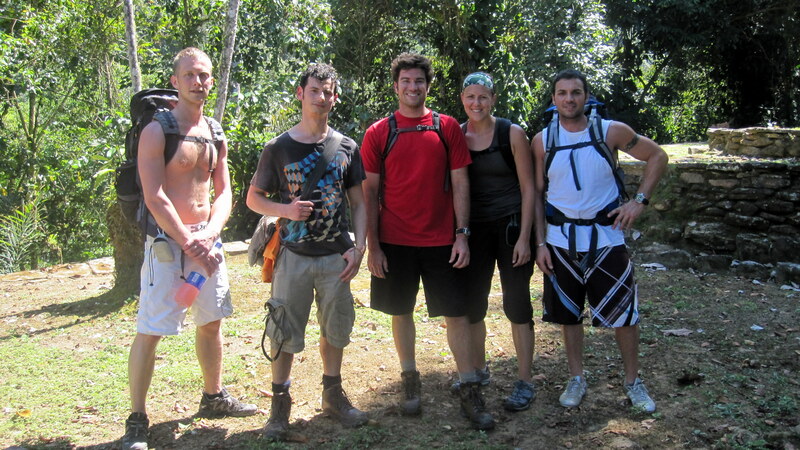 Jungle crew – minus two Argentinians. The accommodations. More comfortable than they look, once you figure out how to sleep diagonally. 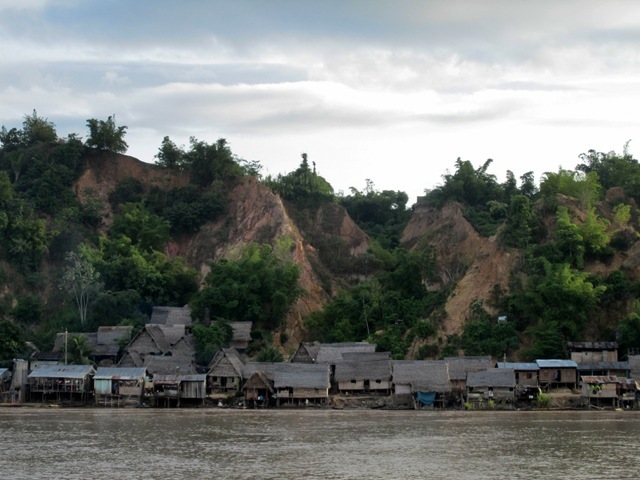 Local indigenous tribe that live throughout the area. 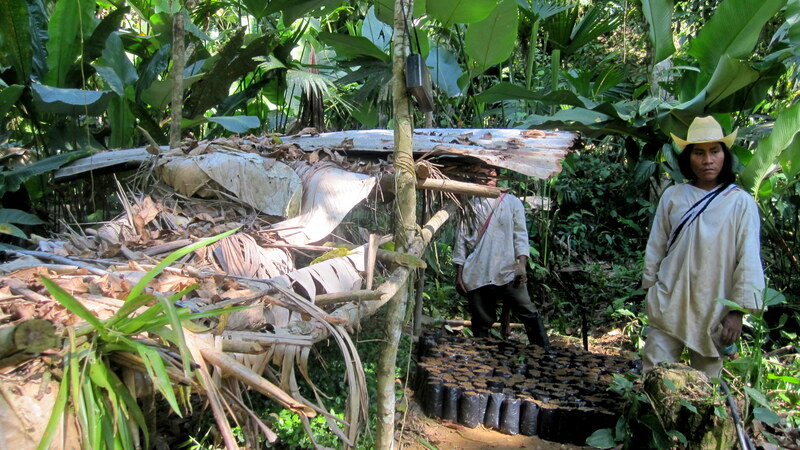 Indigenous – growing a pretty infamous Colombian plant that shall remain unnamed. 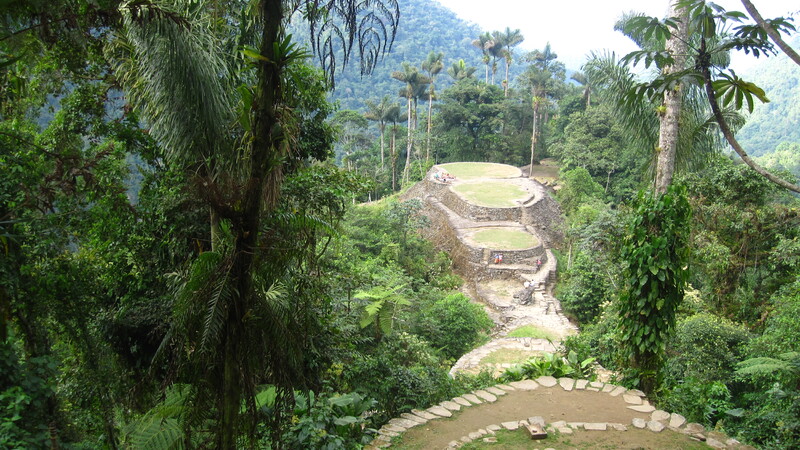 Ciudad Perdida. Really impressive, and worth all fifteen hundred ancient, washed out steps to get there. I think that covers it. I didn’t take any pictures of creepy large insects because I want to forget that they even exist. We just landed in Lima, Peru… and now that my computer is up and running again, I can hopefully catch up on Colombia and Ecuador in the next couple days before we leave for Macchu Picchu. 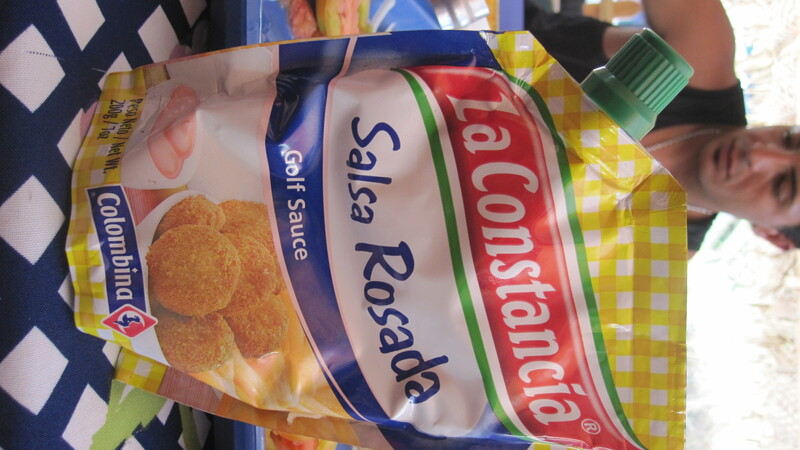 This time I leave you with a mysterious goop that traveled with us through the jungle – Golf sauce. I think its like thousand island?